Does New Brunswick Have The Answer To Canada's Pension Funding Crisis? The city council of Saint John, N.B., heard some blunt language in November 2012. Faced with a pension plan that was underfunded to the tune of at least $195 million, one pension consultant told council the city had "the worst pension plan I’ve ever seen." That consultant, Susan Rowland, suggested that council switch the city's beleaguered pension plan to a new kind of pension plan – a shared-risk plan – that promised to be more sustainable, more secure and more predictable. Shared-risk pension plans are largely an unknown quantity in Canada. But Rowland knows all about them. She had just chaired a pension task force in New Brunswick that had recommended the adoption of the shared-risk model in the province. Enabling legislation was subsequently passed and the shared-risk pension plan became a reality last July. 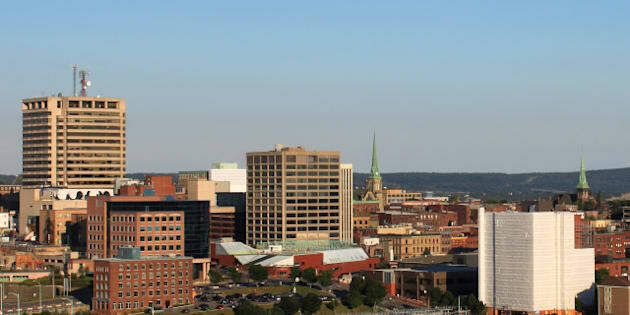 Saint John eventually voted to adopt her shared-risk suggestion to address its pension problems – something several unions and other groups in New Brunswick have also done. There’s no question that the buzz around these plans is growing. Observers say they will likely spread across Canada as their benefits become better known. So what’s so attractive about these plans? To answer that, we need to look at the two main models that currently exist for pension plans – whether public or private. For employees, defined benefit, or DB plans, are the so-called gold standard. These plans, which are common in the public sector but much less so in the private, guarantee a pre-set lifetime pension. The better plans include partial or full inflation indexing. Both the employee and the employer contribute. But it’s the employer’s responsibility to make sure that the plan is properly funded to pay the promised benefits. Any shortfalls in the plan’s funding must be made up entirely by the employer. In the case of public sector employers, that means the taxpayer is responsible for solving the pension deficit problem. Because of the perfect storm of longer life expectancies, earlier retirements, an aging population, low interest rates and lacklustre capital markets, many defined benefit plans are facing big deficits. Every public sector pension plan in New Brunswick, for instance, is underfunded. In the private sector, many employers have dealt with the pension deficit problem by closing their defined benefit plans to new enrollment and require new hires to enrol in the other kind of plan – the defined contribution, or DC, pension plan. These plans, as the name suggests, define only the contributions that employees and/or employers make to the plan. There are no targets or guarantees about the final pension benefit the employee can expect; their pension income in retirement will depend entirely on how the plan’s investments perform. Usually, it’s the employee who must decide how the funds are invested. Because there are no payout guarantees, the employer is not on the hook for future pension plan shortfalls. That's why more and more employers are choosing DC plans; the risk under a DC plan is transferred entirely from the employer to the employee. All the stakeholders in New Brunswick – government and unions alike – could see the writing on the wall for its underfunded DB plans. The province, facing its own deficit problems, no longer had the capacity to guarantee huge pension deficits or to underwrite guaranteed cost-of-living pension benefit increases. The unions were worried that their members would see their pension security thrown overboard – especially for younger employees – if the province said it had to abandon ship on some of its funding requirements. “We knew we had to do something,” said Ralph McBride, co-ordinator of CUPE Local 1252, which represents New Brunswick hospital employees. Their pension plan had a funding ratio – that is, the ratio of its assets' market value to its liabilities – in the mid-70s, a very long way from the desired 100 per cent. The search for a workable compromise – common ground that would provide pension security for workers but affordability for government – led New Brunswick’s pension task force to check out a European solution. To put it mildly, they liked what they found. The Dutch were the first to come up with the shared-risk pension model. It has since spread across much of northern Europe. New Brunswick is the first jurisdiction in North America to adopt it. "Shared risks" implies just what it says. With defined benefit plans, the funding shortfall risks are entirely borne by the employer. With defined contribution plans, the investment risk is downloaded entirely to the members. Shared-risk plans represent a kind of hybrid – with a new joint focus on risk management. “It is not fair or realistic to encourage New Brunswick workers to rely on [an old] pension scheme which is not sustainable," said New Brunswick Premier David Alward when he unveiled the new plan in May 2012. "And it is not fair or realistic to expect New Brunswick taxpayers to backstop huge swings in pension valuations because of the performance of pension plan investments." Both opposition parties supported the shared-risk model. In New Brunswick’s case, the new model provides base retirement benefits that are strongly funded by both employer and employees at predictable and affordable levels. Contributions aren’t wildly volatile, so employers like the cost certainty. Employees get the safety and security of knowing that their benefits will be there when they need them. Base benefits are not guaranteed, but are considered more secure than those in many other pension plans. Stress-testing through 20,000 computer simulations found a 97.5 per cent probability that targeted base benefits would not be reduced. Cost-of-living increases, which were formerly guaranteed, will now depend on investment returns. If they’re poor, there will be no indexing. If they’re robust, there will be. Funding surpluses can also be used to make up for earlier years when poor returns resulted in no indexing. Pensions will also be based on an "enhanced career average" formula, rather than the employee’s highest-earning years. Employees will also have to pay "marginally" higher contributions and the targeted retirement age will rise to 65 from 60 over a 40-year phase-in period. Shared-risk plans – which are considered target benefit plans – have attracted the support of the C.D. Howe Institute, which has long sounded the alarm bell over underfunding in Canada's public pensions. "In the public sector, the exposure of taxpayers to funding shortfalls needs to be mitigated by converting DB plans to target-benefit plans in which benefits adjust depending on the funding level," according to a recent report from the think tank. It said "the recent New Brunswick model could be used as a guide." That model has now been adopted by a number of public and private sector pension plans in New Brunswick, including union pension plans that represent nurses, hospital employees, pipe trades workers, Co-op Atlantic workers and, as mentioned earlier, the city of Saint John. If task force chair Susan Rowland has her way, the shared-risk pension plan model won’t stop with New Brunswick. “There’s widespread interest across the country,“ she told CBC recently. "It’s a model that will work with almost every pension plan."